Powder foundations are what you reach for when you want your makeup to feel lightweight, and you want something quick and easy to apply. They are best for giving light coverage, a beautiful sheer tint of color to blend out imperfections and give a natural beauty look. Powders can provide fuller coverage, but you risk having a caked on look and powder settling into your fine lines. 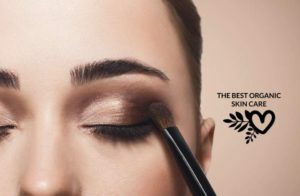 Why Use a Powder Foundation? Like I said above, they are quick and easy to apply. A good makeup for beginners. Excellent for a minimal makeup look with a natural finish. 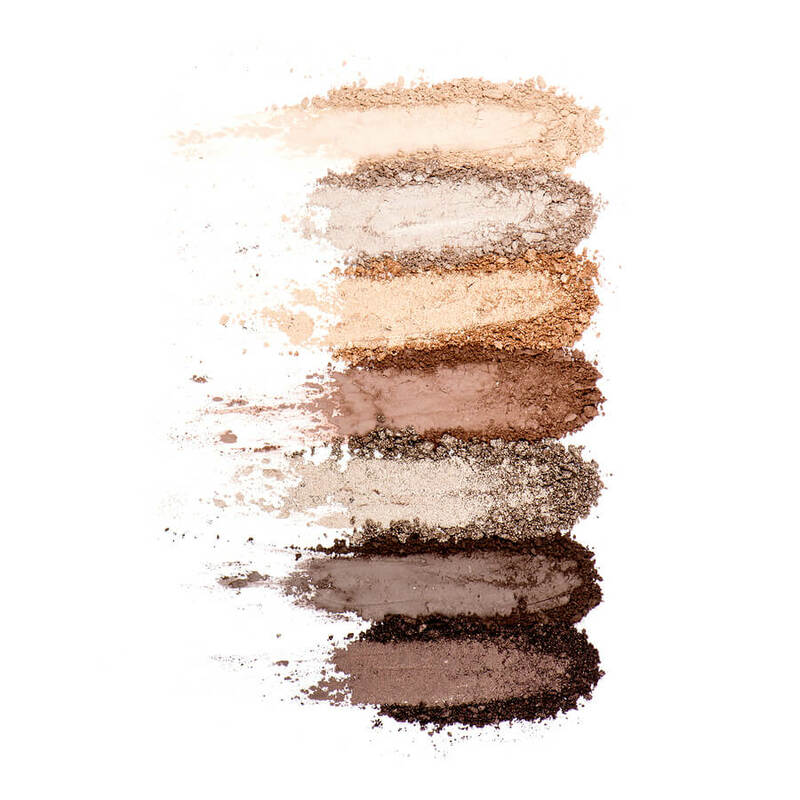 Loose, mineral powders are simple formulas with basic ingredients. Perfect for those of us looking to avoid unnecessary toxins. Easy to transport, for on-the-go touch-ups. And the fact that it is a powder means it can be easily reapplied. You have skin that is on the oilier side, as the powder can soak up excess oil. Tends to stay put in warmer weather or during times when you will be sweating. Less likely than liquids to clog pores and cause blemishes. If you want heavy coverage – Powder foundations just won’t give the same full coverage as a liquid or cream. If you have dry, flaky skin – Powders can make dry skin appear dryer. If you have lots of wrinkles – Powders may settle into fine lines, accentuating them. Powder foundation is best for oily skin types. 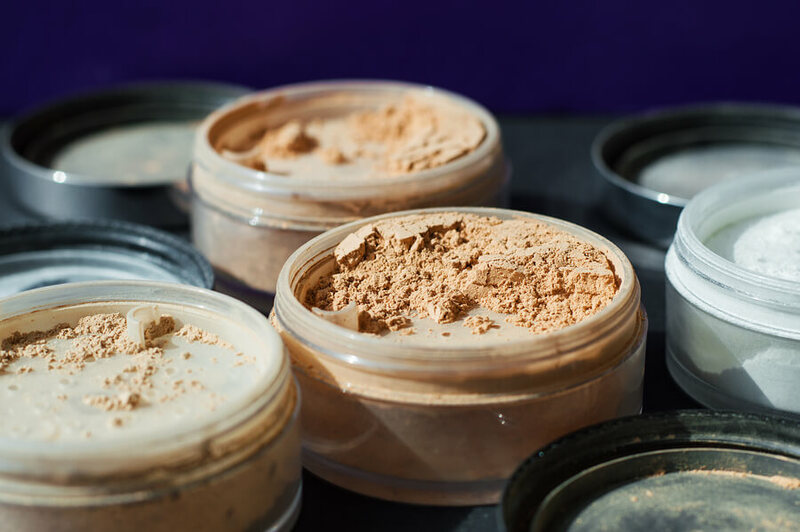 Dry skin types are best to use powder foundations as a touch-up tool only. Choose three shades that look close to your skin tone for testing. Apply each one in a line on your jaw. The one that looks like it dissapears will be the one closest to your natural skin tone. If your skin tone is on the fairer side, opt for a pink undertone. If your skin tone is on the deeper side, look for a yellow or orange undertone. If you want to learn more about choosing your foundation shade – READ: How To Determine Your Skin Tone & Choose a Foundation. When in doubt, go lighter. If you are stuck between two shades, opt for the lighter one. You can easily deepen the shade with bronzer if you need to. You can always mix different shades to get your perfect color. This is especially helpful as your skin color changes through the seasons. For shopping online, I recommend already knowing what your undertone is, as well as the type of coverage and application you want. Powder foundations that offer a sheer-to-medium coverage help balance your skin tone and even out mild concerns. They give a soft, filtered look. I find these to be the most natural looking. Medium-to-full coverage powders usually come in pressed powder form. This coverage is best for more visible concerns such as acne, redness, or discoloration. Start with the end result you want and look for products that will fulfill that purpose. Do you want a matte look? Or would you like come dewy glow? How much coverage do you need? Are you prone to breakouts? Stick to organic and natural products and look for companies you feel good supporting. If you are shopping online, read reviews and look to the bloggers (like me 😀 ) and fashion sites for product inspirations. 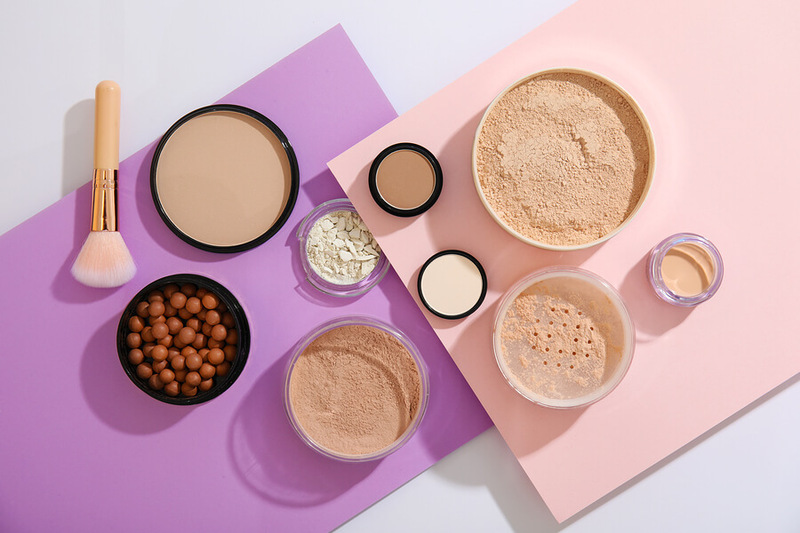 Read: Our Picks for the Best Natural Powder Foundations. When appying, bring the foundation down into your jawline and buff through the neck to avoid your foundation looking like a mask. Use powder with powder. If you are using powder foundation, you should also use powder blush and bronzers. Avoid applying powder foundation with your fingers. They provide less precision and can make your foundation look caked on. You will most likely need more than one shade of foundation, depending on the time of year. Our skin color changes through the summer and winter. Invest in a high-quality foundation brush with soft, dense bristles. I love Kabuki brushes and oval shaped foundation brushes. First off, start with clean skin. Micellar water is an excellent cleanser for prepping the skin for makeup. Apply your moisturizer or serum, give them time to soak into your skin. Next, apply your makeup primer. Start with a light dusting of powder applied to the whole face with a fluffy powder brush. Load up your brush by pressing the powder into the tips of the bristles and apply in long strokes. 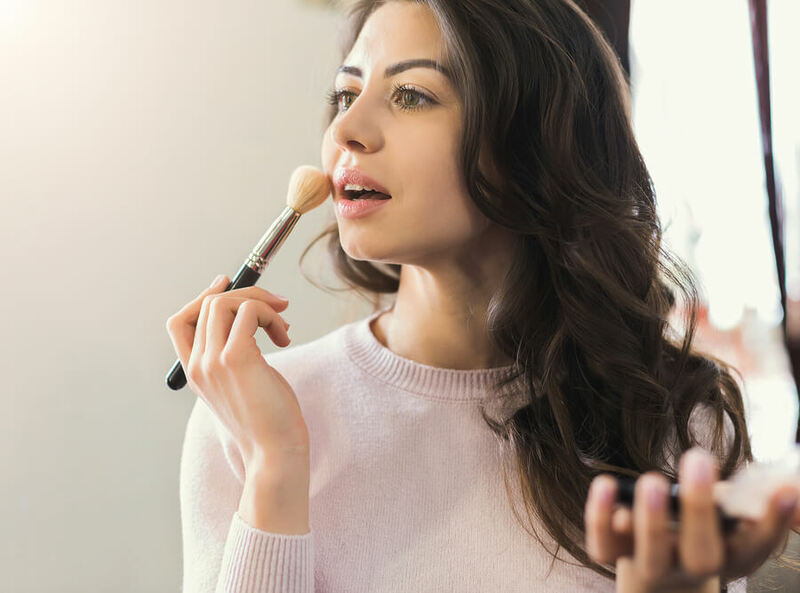 In places where you need more coverage, you will want to push the side of your powder brush into the pan and then press and roll it into place on the skin. If you have darkness under your eyes, you can skip the cream concealer and instead use a flat concealer brush with your powder foundation. Use your brush to press the powder into place. (If you do want to use a liquid concealer, apply it before any powder). After the powder has been placed, grab a powder puff and gently press it into the skin. If you applied too much and it looks cakey, press a moist foundation sponge over it. After you have applied all of your makeup, you can set your powder makeup with a hydrating mist for a more natural, less powdery finish. Sprtiz a fine mist of water or a hydrating toner over your face and do not touch it until it dries. 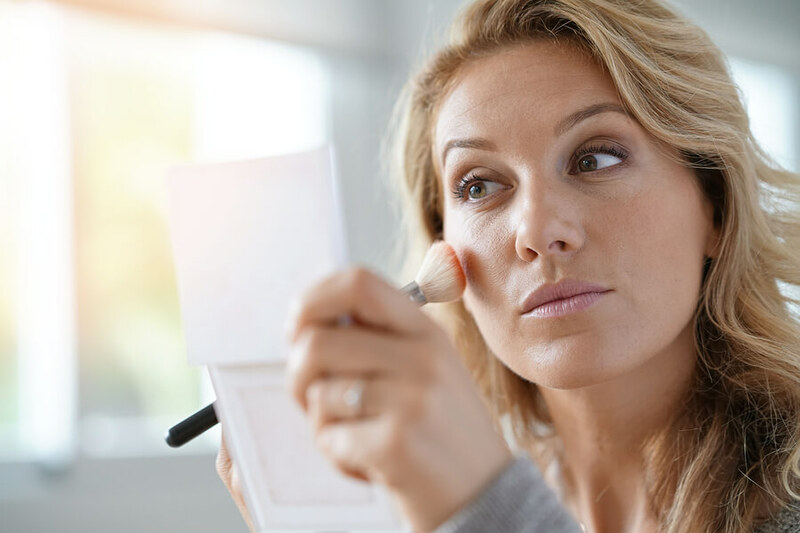 For touch-ups throughout the day, it is important to use blotting paper to remove excess oil from your face. If you don’t, you risk having your powder not sit evenly. Watch this video below to see how to apply loose powder foundation. On the hunt for some good natural and organic powder foundations? Using powder foundation is a great way to give your skin light, natural coverage that you can easily touch up throughout the day. They are a great addition to any makeup bag, especially if you have oily skin. Remember to have a look at our favorite powder foundations if you want product rec’s. I hope this article was helpful to you. If you have any questions, please leave them in the comments below, and I will do my best to help you out. While I do not wear makeup, I thought this article was so well laid out. You provided so many examples and descriptions of everything. I have a good friend that is also a makeup pro and I would to share your website with her because I think she would learn a lot from you. Also, I surely do appreciate you providing a more natural option of makeup. I am all for vegan makeup companies! Thanks for so much hard work on this, I enjoyed learning something today. 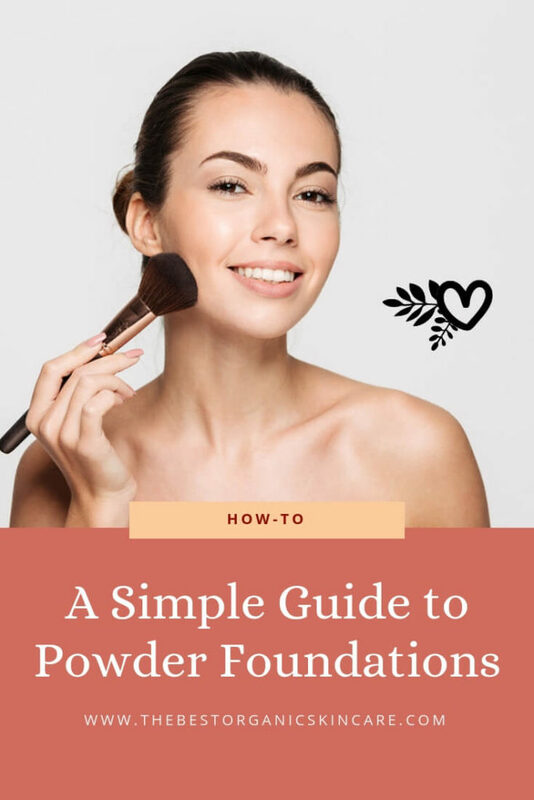 What a complete guide about powder foundations! I have a very olily skin, so I always try to use a very small amount of foundation, most of all because I want my face to look as natural as possible. I use powder foundations very rarely, but I think I should try some of your recommendations. They seem much more suitable for oily skin and for a natural look. Thank you so much for sharing! Great article! Hi Anna! Thanks for stopping in 🙂 Make sure to build up your powder foundation slowly, as it can be easy to over-apply and cause the skin to look cakey!